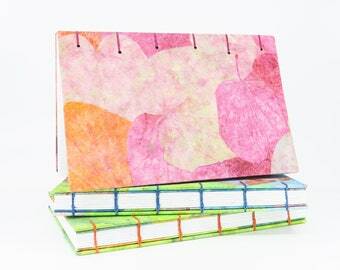 Size: 8.75 inches x 5.75 inches with 144 pages of white, acid-free 70 lb Canson drawing paper, which is perfect for sketching, writing, collage, scrapbooking and more. 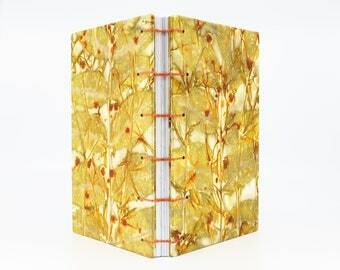 This unique handmade book celebrates my love for plants and trees and the beautiful green places where they grow -- gardens, farms, meadows, parks and forests. 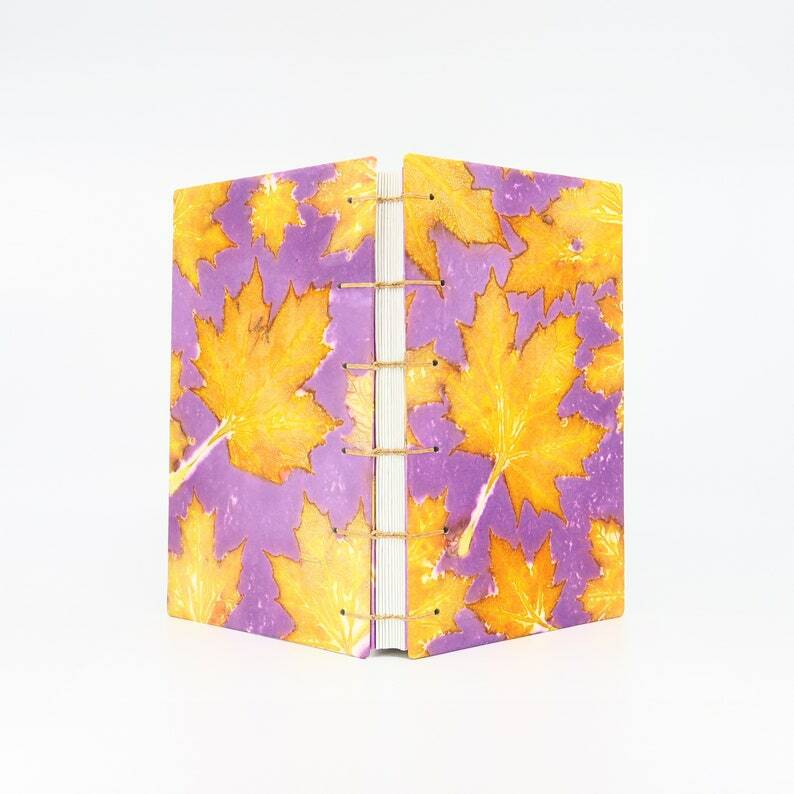 The covers and end pages are made from watercolor paper I ecoprinted with maple leaves and brazilwood dye. It would make a very special one-of-a-kind gift for Mother’s Day.